When people travel, they often look for things to do that aren’t considered tourist activities. A lot of people would rather experience a city through the lives of the locals to get a real feel for the place they’re visiting. While skipping the tourist traps is understandable, that doesn’t mean that tourist activities aren’t fun too. Take LA, for example. The best tourist things to do in LA are just as good as trying to blend in and live like a local. In fact, LA is a place where even the locals participate in tourist activities. There are many tourist things to do in LA that give the city life, offer the locals things to do, and make visitors feel like they’re center stage. LA is a city that is known for many different things, but chief among them are the tourist activities. There are many different things to do in LA both day and night, and tourists can enjoy them all. In fact, tourists may enjoy LA activities more so than locals, but that doesn’t mean locals avoid the tourist traps. 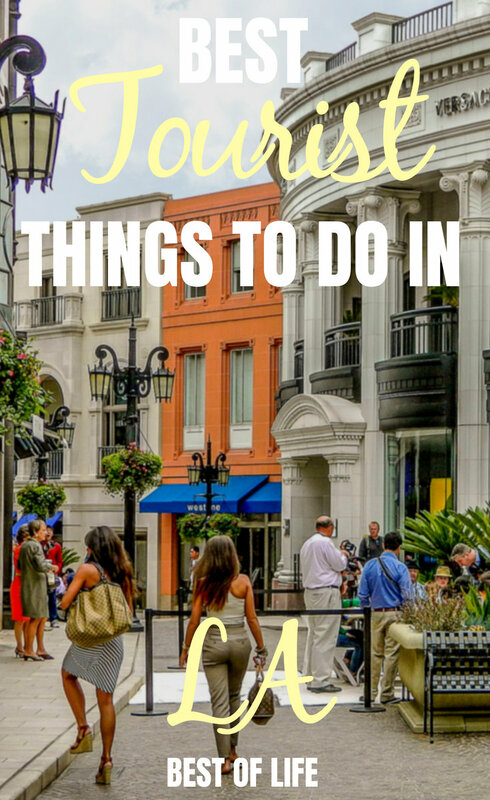 Instead, everyone embraces the best tourist things to do in LA because they’re fun, exciting, and a great way to fill your time there with memories. Starting off the list like any true tourist attraction is the Hollywood Walk of Fame. While just about everyone visits this mini version of Times Square, it doesn’t mean you will want to skip it. Not only will you get to see things like the legendary Chinese Theatre, you will also have plenty of tour bus options, walking tours, and shops to enjoy. 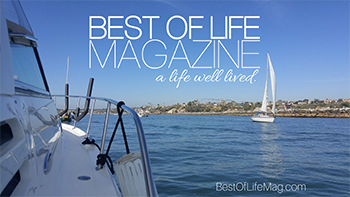 Most tourists will also have Venice Beach on their list of things to do, and you should too. This beach has become a hotbed of bohemian lifestyles clashing together to make an exciting beach visit. Of course, you can also spend your time there swimming, sunbathing, catching up on a good book, and enjoying a truly unique boardwalk. The Los Angeles Conservancy Walking Tours are open for business and will help you walk off any meal you had during the day. These tours take you around the city and give you the history of the many different historic theater and art deco buildings. And who knows — you could come across a celebrity or two while on your tour. Not many cities can offer that! 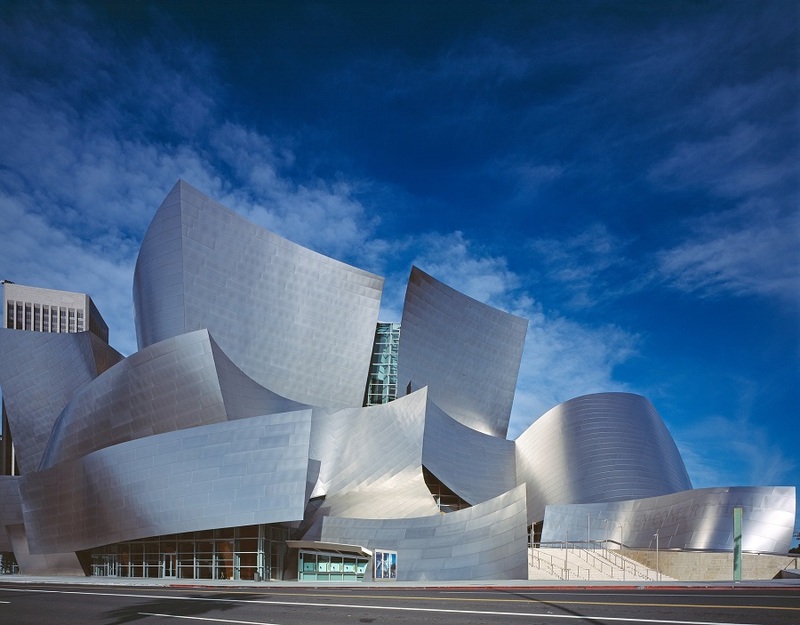 You’re not too far from Disneyland in Anaheim but you can get even more Disney at the Walt Disney Concert Hall. The building itself is a piece of art and a great place to experience a concert unlike any other. If you don’t have time for a concert, there are tours you can take so you can still enjoy the building. One of the most popular photo spots in LA can be found at the entrance of a museum complex: Chris Burden’s Urban Lights. This art installation is only the start of what will be found in various places, including the Museum of Art, LACMA, Petersen Automotive Museum, Craft & Folk Art Museum and the Academy Museum of Motion Pictures. All of these museums are within walking distance of each other and make for a great, art-filled day. The Broad is a museum that deserves a header all it’s own. This museum has made a huge splash in LA. Specifically, there is one room in the museum called the Infinity Mirrored Room. You simply have to see it to believe the beauty that a few mirrors and LED lights can create. The Grove is a shopping mall that is home to chic style and great dining, and it is THE place to shop in LA. There are around 50 different top-brand stores, a farmer’s market across the street, and plenty of dining options. While the skyline in Downtown LA isn’t as picturesque as some tourists expect, it’s definitely at its best at Griffith Observatory. 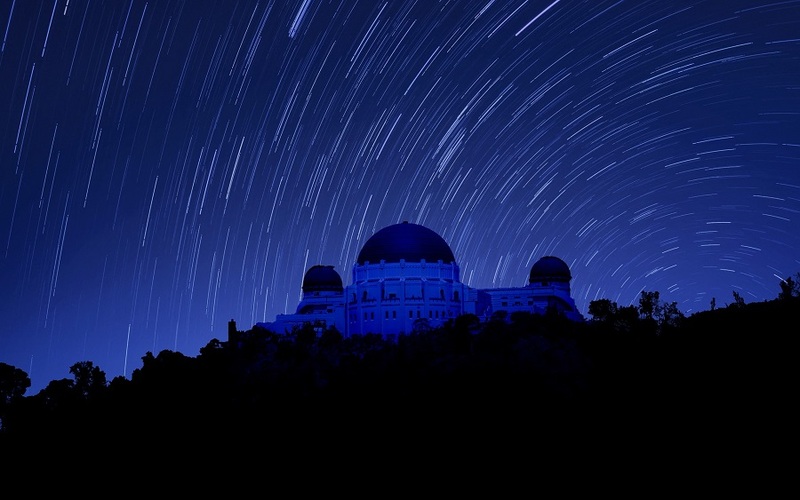 Not only is there an amazing view, you can even look up at the stars through a 12-inch refracting telescope. The Hollywood Bowl is a well-known amphitheater that has hosted many different concerts since the first one in 1922. While this location is a concert hall, it is also outdoors and opens to the public, even when there isn’t a concert going on. Bring a picnic with you and enjoy the beautiful area whenever you want. LA isn’t really known for its beautiful skyline, mostly due to hazy skies on most days. But if you’re going to try and see it anyway, might as well do it from a glass slide, 70 stories up in the air. This slide can be found at the U.S. Bank Tower and, while it might seem scary, it is worth every second. Some people will say that a tree can be seen just about anywhere. However, there is no tree as beautiful as the Chandelier Tree. This tree is in Silver Lake and has around 30 different chandeliers hanging from it. There is a parking meter right in front of the tree where you can donate money to keep the tree lit. While donations are of course optional, we think you’ll be ready to empty your wallet into the meter after one glimpse of this tree. Echo Park Lake hasn’t always been a family-friendly location but after years of hard work, it has become just that. The lake is a beautiful place to spend the afternoon and you can even paddle boat on it — either in an ordinary paddle boat or a swan. If you’re into music, Amoeba Records is a must-see. Not only does Amoeba Records still have actual records, great deals, and no streaming services, it is also historically known within the music industry. You may even get lucky and catch a surprise live performance, something the location is known for. 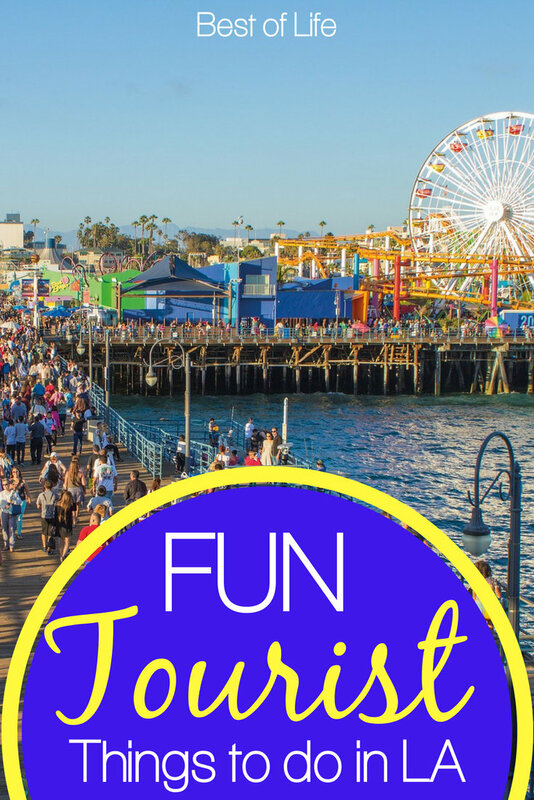 Santa Monica Pier is a must-see for tourists and it’s easy to see why once you arrive. There is always a fair going on with a permanent Ferris wheel, aquarium, games, cotton candy, and other amazing treats. You can stay on the pier or venture down to the beach and enjoy the warm weather SoCal is known for. No visit to Los Angeles is complete without a picture of the “Hollywood” sign. The best way to see the sign is on horseback though. Simply head over to Sunset Ranch, get on a horse and take a trip along a trail that takes you directly above the sign.